This examination is being given to fill one vacancy in the Probation Department and to establish an eligible list to fill future vacancies. The Juvenile Detention Facility is a 24-hour, 7 days a week operation. This position requires working rotating shifts which will include weekends and holidays, as well as working overtime. The shifts are: 7:00 am - 3:00 pm; 3:00 pm - 11:00 pm; and 11:00 pm - 7:00 am. Candidates must successfully pass a background investigation, pre-employment physical and drug screen prior to employment.  The San Joaquin County Probation Department is committed to increasing public safety, supporting victims, and reducing recidivism through client accountability and support; thereby making our community safer and stronger. We are dedicated to inspiring positive change by delivering proven evidence-based practices, which assist clients in identifying a path to productive life choices. Please be advised that Human Resources will only be accepting only online applications for this recruitment. Resumes and paper applications will not be accepted in lieu of an online application. A completed application must be received online by the final filing deadline. All correspondences relating to this recruitment will be delivered via e-mail. The e-mail account used will be the one provided on your employment application during time of submittal. Please be sure to check your e-mail often for updates. Ensures continuity of internal operations and programs. Plans, supervises, directs and evaluates staff. Participates in the selection of employees. Provides information regarding laws, policy and procedures. Counsels juveniles individually and in groups in crisis situations. Supervises and participates in the admission or the release of juveniles. Reviews reports and records to determine appropriate action. Acts in the absence of administrative staff. Ensures adherence to facility and departmental rules, policies and procedures. Maintains safety, security and discipline for staff and juveniles; intervenes in emergency situations as necessary. Uses computers for detention management and communication. Transports juvenile offenders when necessary. Experience: One year as a Juvenile Detention Unit Supervisor with San Joaquin County. Education: Graduation from an accredited four-year college or university with a minimum of eighteen units in the social or behavioral sciences. Experience: One year of experience in a supervisory capacity in the supervision, observation and assessment of juveniles in a detention or residential treatment facility. Special Requirements: The Juvenile Detention Facility Supervisor must successfully complete one hundred and fifty-six (156) hours of core Juvenile Institution training during the first year of appointment. Employees in this classification are peace officers as defined by section 830.5 of the Penal Code and must satisfy the State of California criteria for peace officer status. Appointees will be required to meet State-mandated CORE training requirements as defined by Standards for Training in Corrections (STC). Employees must also conform to all other requirements necessary to hold and maintain peace officer status pursuant to the California Government Code. The California juvenile justice system; knowledge of the principles and practices of supervision and training; the methods and techniques of juvenile group work; basic administrative and institutional management principles; general principles of report writing and composition, basic computer literacy, including personal computer systems and computer software; self-defense and emergency/crisis management techniques; California Welfare and Institutions and Penal Code sections relating to juvenile justice work; adult and child psychology; theory and practice of juvenile justice work; community resources available for treatment of juveniles. Establish rapport with juveniles under supervision; plan and assign work; oversee operations and administer programs; demonstrate clear written and oral skills; relate to a wide variety of socio-economic, cultural and ethnic backgrounds; physically restrain or subdue juveniles for their safety and the safety of others; drive safely; plan, organize and supervise the work of others; train and evaluate subordinates; communicate effectively, both orally and in writing; establish and maintain effective working relationships with others; interpret and apply laws, policies and procedures. Mobility-Constant standing, walking, running, stooping, bending, climbing stairs and lifting of individuals, which require strength, coordination, endurance and agility; driving; Visual-Constant overall vision; constant color perception; constant eye-hand coordination; constant depth perception; frequent reading/close-up work; constant field of vision/peripheral; Dexterity-Frequent repetitive motion and reaching; Hearing/Talking-Constant requirements to hear normal speech; constant hearing on telephone and radio; ability to hear faint sounds; constant talking on telephone/radio; Emotional/Psychological-Constant contact with hostile individuals; frequent exposure to emergency situations; frequent exposure to trauma, grief and death; frequent public contact; frequent decision-making; frequent concentration; Special Requirements-Some assignments may require working weekends, nights, and/or occasional overtime; Environmental-Occasional exposure to varied weather conditions. Please be advised that Human Resources will be accepting only online application submittals for this recruitment. Paper application submittals will not be considered or accepted.